HOW DO I BEGIN OR GET BACK TO BASICS? Whether you're a newbie and don't know where to begin, or you've been journaling for a while and struggle to keep going or find what works for you, barebones is always a good place to start. Here are a few videos demonstrating bullet journaling basics. 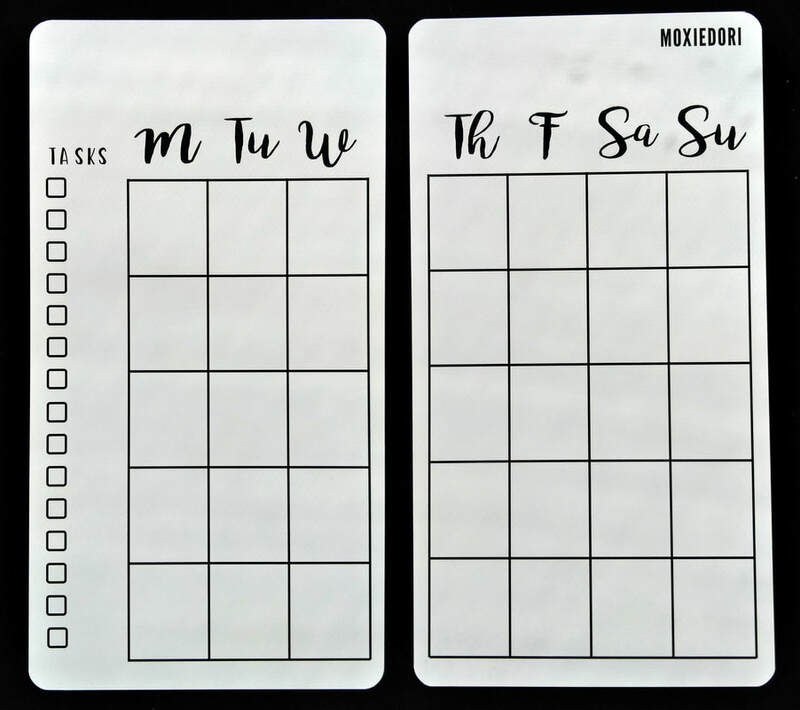 Designed and manufactured by MoxieDori, Inc.
​Designed and manufactured by MoxieDori, Inc.
You could also use our Monthly Layout Tracing Card or the 5 column of the MoxieRule to make quick and easy monthlies. HOW DO I USE THIS MARVELOUS THING? We love a good tutorial - especially when it comes to showing you all the things you can do with our products! All of these videos can also be found on their related product pages in the shop. Have more questions? Reach out and we'll be happy to help! Amy and I both like to experiment with different journaling tools and techniques, try out a variety of creative materials, and end up shooting A LOT of video! Here are a few of our favorite clips, demonstrating some of the journal inspiration we've enjoyed discovering and sharing with others along the way! Pro tip: If you plan on pulling your washi tape off of your paper after use and don't want it to tear the page, stick it to your pants leg first. Sign up for our newsletter & MoxieCafe for more free journaling ideas & inspiration!